Let’s pause for a moment and remember what this is all about. What’s about? Well, minor league sports and blogs and photos and such. It’s about the fans. It’s about fun, and entertainment and competition, and for the players–their careers, and it’s a business and all of that–but it’s nothing without the fans. So tonight is “Friends and Family” night at the Phantoms. You might not see that on the “pre-event” email you got. 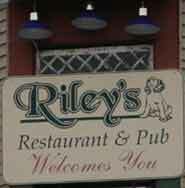 That’s because it’s “Friends and Family Night” because: WE SAID IT IS! 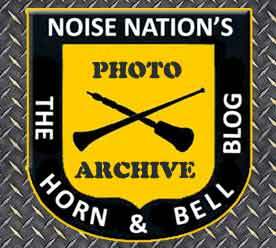 Noise Nation’s Horn and Bell Blog, in conjunction with the newly formed Phan Nation Fan Club decided it was time to let some of our friends and family know what a great time can be had at the new PPL Center Arena on Phantoms Hockey nights. So, we’re bringing 80 of our closest friends to help fill the place and introduce some folks to the arena and to AHL hockey. So “Rise Up, Phan Nation” — Here We Go! Ouellette with the save. From Saturday. 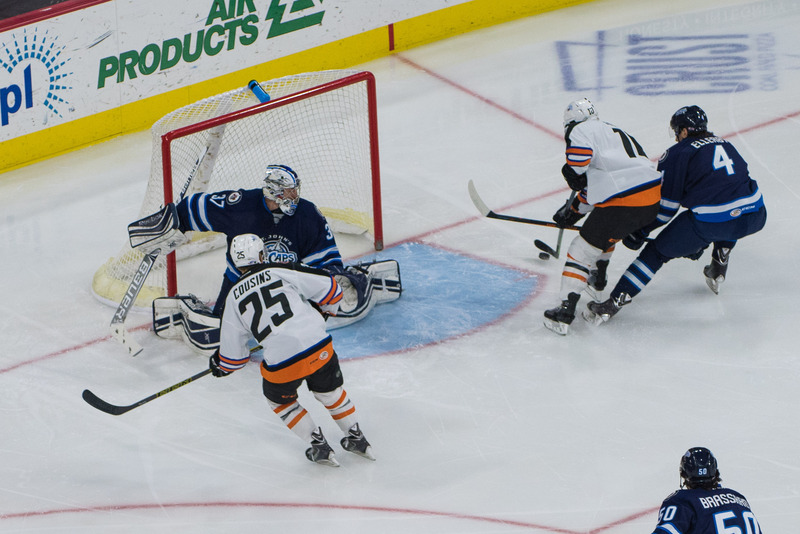 The Phantoms snapped out of their short losing streak by again beating up on the Ice Caps last Saturday at the PPL Center. 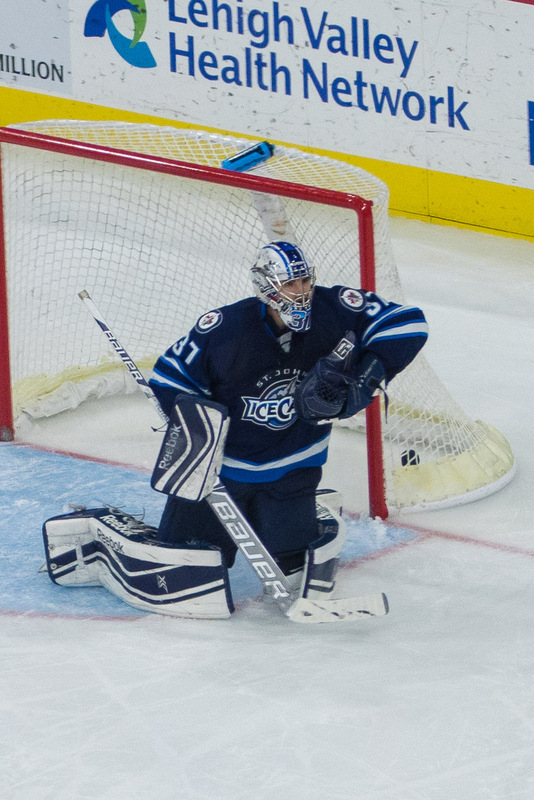 The final was 4-3 as the ‘Caps added a late goal. Martin Ouellette played a nice game at home and the fourth line of Straka/Goumas/Alderson did good work for the second game in a row. While we still haven’t broken the 9,000 fans barrier it was yet another sell out crowd and yet another attendance record. Everyone other than Brandon Manning has been off since that game. 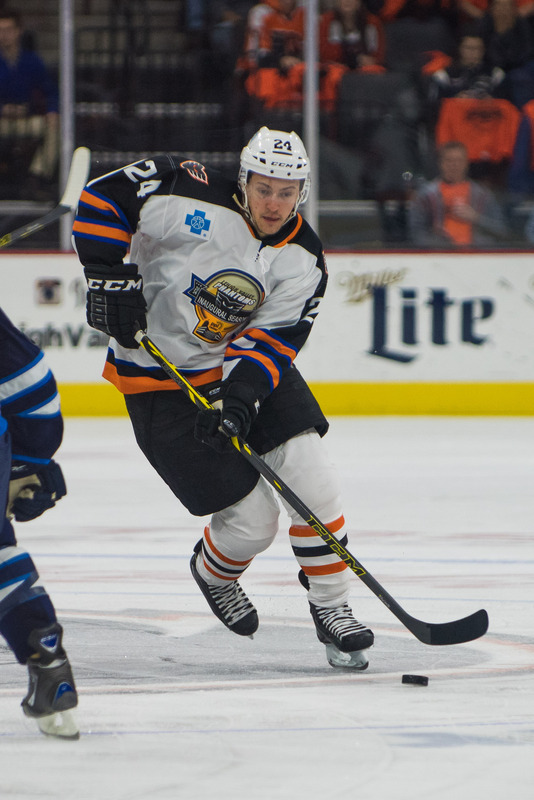 Manning participated in the AHL All Star Game and related festivities up in Utica Sunday and Monday. The players haven’t practiced; they’ve had a chance to rest their feet and recharge their batteries. They have a skate this morning and then bring on the Devils! The two points won the other night kept the Phantoms from falling further back in the division, as they chase Wilkes Barre and Hershey. 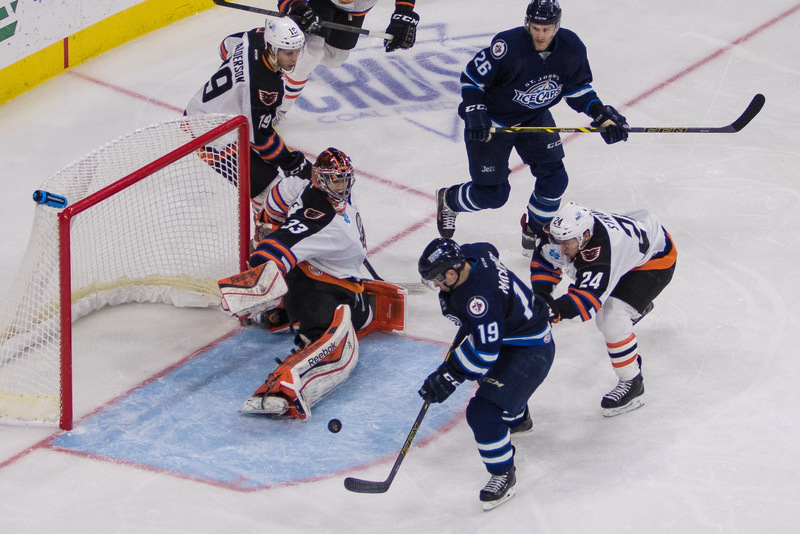 In the conference, which matters more for the playoffs (if you can’t win your division,) the Phantoms remain out of the running–about 4 points back. There’s still a ton of hockey to play, and it’s good not to get too far behind. The Phantoms remain far and away the most penalized team in the AHL, and continue to occupy the third spot (behind Hershey and Lake Erie) in home attendance. 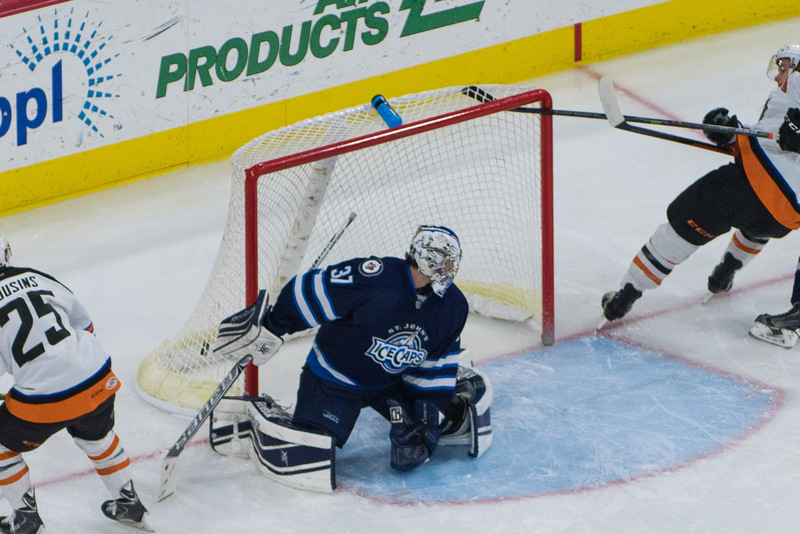 The Phantoms are 12-4-2-1 at home in the PPL Center. Ryan White has been re-called by the Flyers to fill in for the suspended Rinaldo. Petr Straka called up by Flyers to fill in for ailing Raffl. His NHL debut was Tuesday night, and he’ll play again tonight for the Fly Guys. 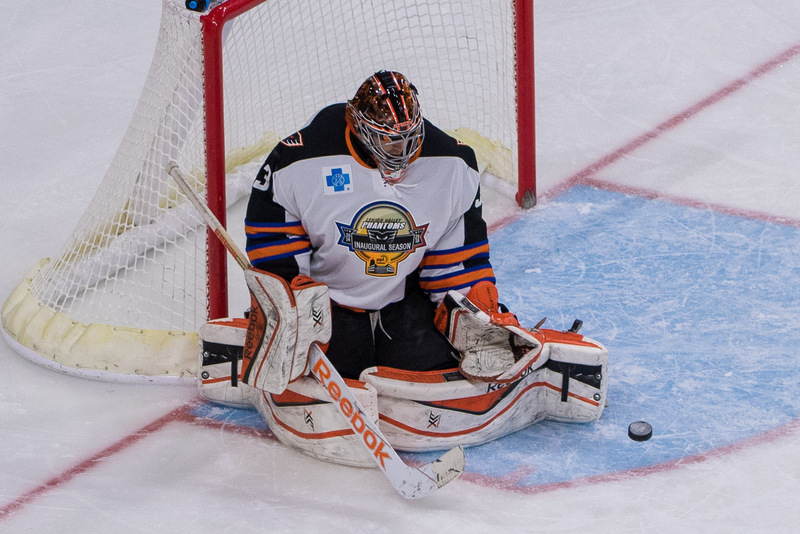 “Baby Come On Home”: Rob Zepp comes back to the Phantoms. I would expect him in net tonight. 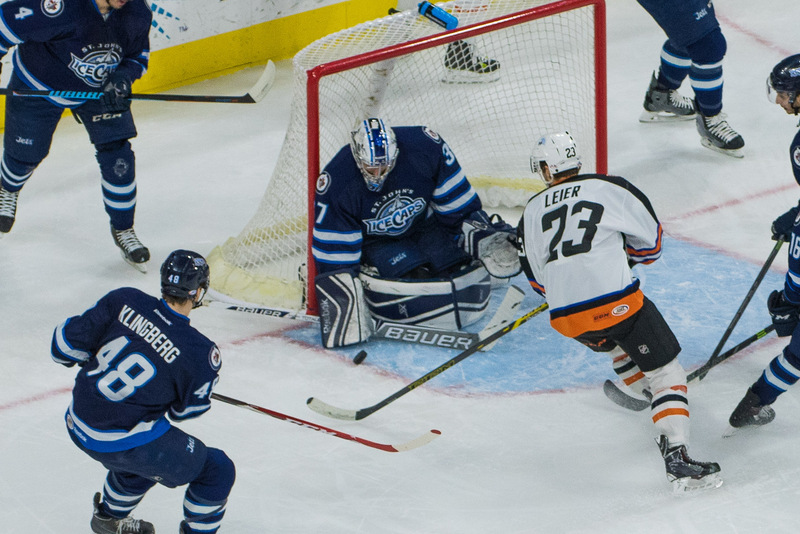 Taylor Leier got his first goal in over a month last game. Kevin Goumas got his first “#1 Star of the Game” last game. No word on the injured status of Blair Jones and Darroll Powe. I think Powe is back skating, but still a week or more away. I remember hearing that Jones’ injury was more serious. We’ll report back with more, later. Shayne Gostisbehere continues to skate and improve at the Flyers’ New Jersey facility. He’s still on schedule to play hockey in February. There will be questions about rust, and effectiveness, but I’ll take a fraction of a Ghost over none at all. Scott Laughton is progressing in his post-concussion protocol and has returned to the ice to skate without contact for the Flyers. It continues to sound like there’s a chance that Kimmo Timonen comes back to play for the Flyers this season. The Fly Guys will have to figure out a way to pay him and stay under the cap. There may be ramifications for the Phantoms here. Def Mark Alt is still a few weeks from playing again as his broken hand heals. The Albany Devils are in town–a team the Phantoms have yet to beat this go-round–for the final time this season. And if there’s one NHL team that I cannot stand, it’s the Devils; they’ll get no sympathy from me. 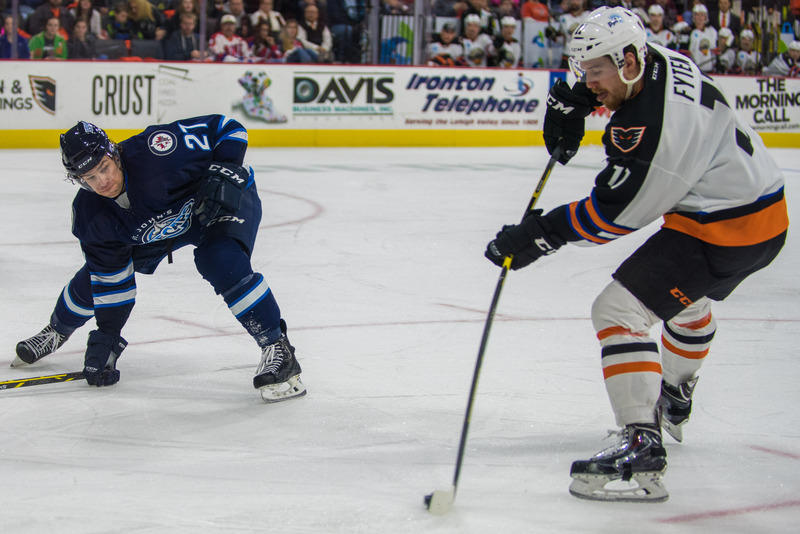 This game kicks off “Three-in-three” this weekend with the Phantoms home again tomorrow for the Bears, and up in Wilkes Barre Saturday night. GAME TIME: 7:05 Puck Drop; 6:00 Doors. TICKETS: Good seats are still available–and plentiful–for tonight’s game. 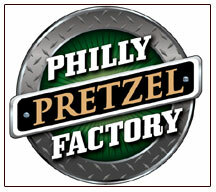 Order via PPLCenter.com or by phone. They should be available at the door as well. The Phan Nation allotment of 80 tickets is now 100% sold out! WEATHER: A clipper may be moving through the area just about game time. The snow shouldn’t amount to much, but choose one of the parking decks if you’d like to be undercover. They’ve been very good about keeping the streets and lots downtown cleared of snow. Sometimes they’ve been a little tardy with the sidewalks. PROMOTION: None. However, we’ve deemed it “Friends and Family” night, so grab a friend and buy an extra ticket! C’mon out! BROADCAST: Video: TV2; Audio: AM1490 (IHeartRadio.com); FM 89.9 in the arena. PREGAME: I’ll be at Chickie’s pregame to meet those who need to pick up tickets and those who haven’t had a chance to pay yet. I’m unsure of my arrival time or if I’ll get a table. Contact me by Twitter (@Kram209) or FB (Kram Two-Ohnine) or by email (Kramof209(at)gmail.com). If you have my cell, you can txt, too. Thanks! 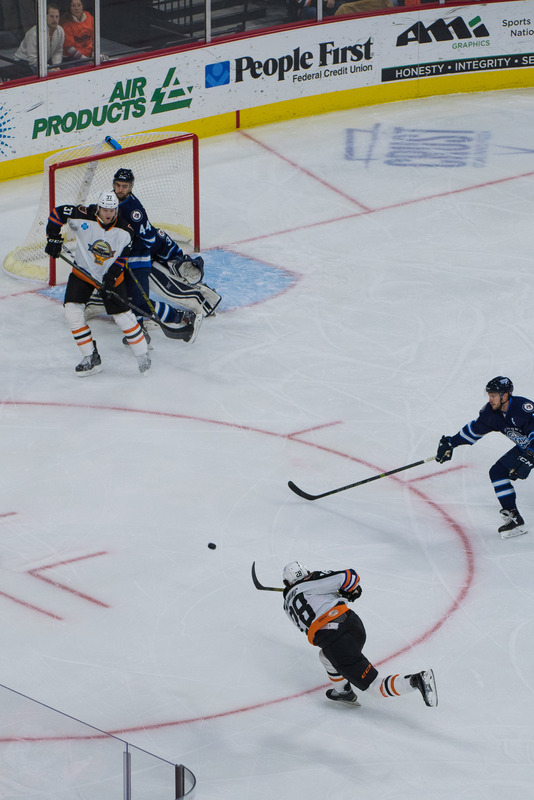 Watch to see how the lines shake out with Straka and White in Philly–a shame (for us) to break up the Straka-Goumas-Alderson line that had been playing so well the last couple games. Watch to see which team looks sharp-er following the All Star Break. Watch for some “Good Times” more than “Bad Times” goal-tending with Rob Zepp back in net (hopefully). Watch to see if Robert Hagg is back in the lineup following some flu-like symptoms from last Saturday. Watch to see if Darroll Powe or Blair Jones are well enough to come back and fill Ryan White‘s spot or Petr Straka‘s. If not, expect to see Derek Mathers maybe on the third line with Fyten and Rosie and put Hextall on the top line with Akeson sliding to the centerman position. A player to come from Reading? This whole plan goes out the window with Straka gone….watch for new and creative lines! Watch to see if young Jesper Pettersson‘s play was good enough the other night to earn him some more ice time. I thought he did well. But then, Comrie and Flemming have done well of late, too: Both were +2 last game. So unless someone’s nicked up, I don’t know whom you sit. Perhaps with three-in-three this weekend they’ll all see some time. 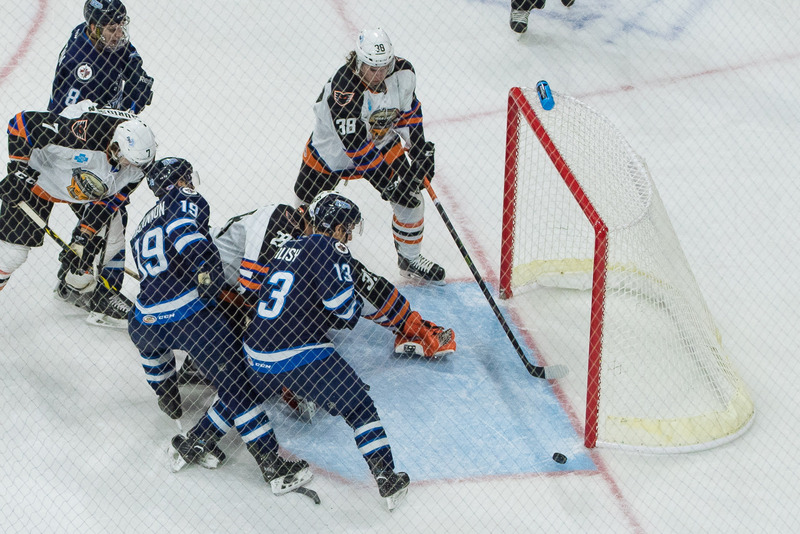 Leier with a chance in front. Tomorrow is meLVin’s birthday! To celebrate, he’s giving the first 3,000 kiddos (14 and under) free jerseys! I wonder if they’ll all be size XL? 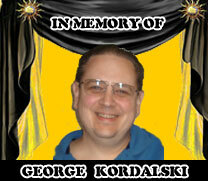 Saturday the Spirit-like ones will be up at the Mohegan Sun in Wilkes Barre. I don’t know as I’ll be up to the trip after two games in a row–but maybe it’s time for me to step up to a “three-in-three,” huh? What else is there to do the night before the Super Bowl? Evidently not much, as reports are that the game in Wilkes Barre is just about sold out. Next week they’ll be home on Wednesday for another mid-week tilt. The Worcestershire Sharks will be in town, and you’ll be allowed to skate with the players after the game! 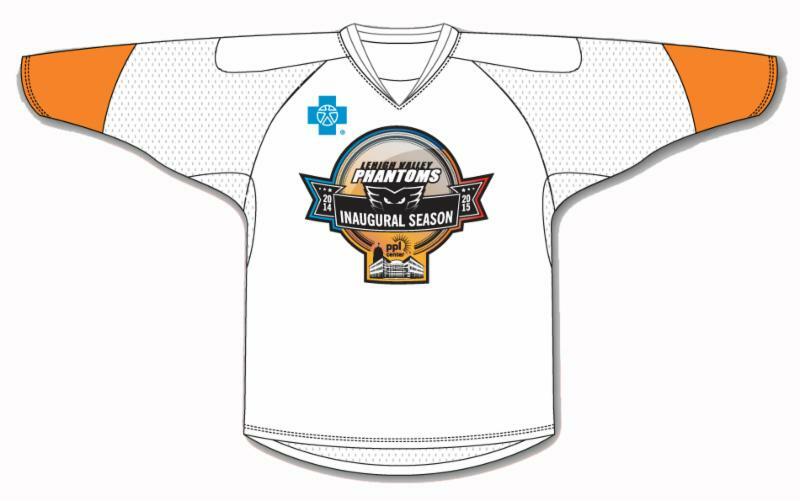 Ten-month interest-free payment plans are starting for the 2015-2016 Phantoms season. It’s an easy and convenient way to get your bill paid without that big outlay all at once. Contact your ticket rep or stop at the table behind section 112 to make arrangements, if you haven’t done so already. Also, if you’d like to convert from a 1- or 3-year plan to the top 5-year plan, you may do so. The advantage is that your price will be locked in for additional time. And, it seems the 5-year plan holders get all the cool perks: name plates on seats, free night’s in the suites, back rubs, and….OK, just kidding about the back rubs, but you get my drift. I don’t think they’re moving seats just yet, but I think they’ll be putting folks on lists for STH who want to change location. One more thing: I think they’ve already raised ticket prices for next season–so again, if you want to lock in and avoid the fees that come with single-game purchases, season tickets are the way to go! 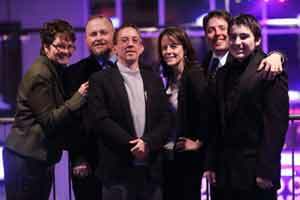 PS: Thanks to all our friends for supporting this “Friends and Family Night” ticket endeavor. In particular, but not limited to: Ryan, Rolf, Paul and Shawn. Thanks (and “You’re Welcome”) to our friends in the ticket office: Casey and Kevin. Thanks to the Phan Nation folks who’ve volunteered to work at the “interest table” tonight on the concourse. Find them along the concourse somewhere tonight and visit if you’d like more information about the (Phantoms) Phan Nation Fan Club. If you won’t be at the game, stay tuned in this space as I’ll update on the Phan Nation endeavor soon. Finally, thanks again to friend of the Phan Nation Jack Mitroka for the use of his photos above and below. Fyten with the bendy stick….